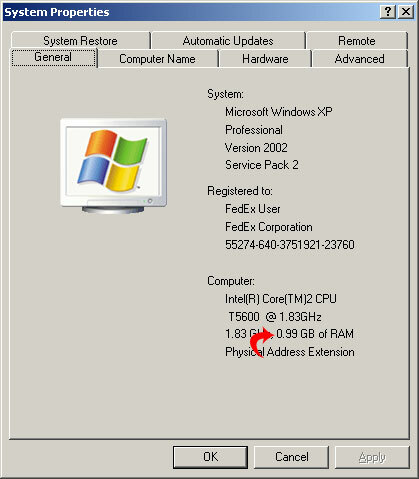 This tutorial will show you how to speed up Windows by increasing the page file size. The page file, or virtual memory, is a space on the hard drive that is used to store data for temporary to use. This is similar to the way RAM works, only the data is store on your hard drive instead on a memory chip. First right click on My Computer and select Properties. 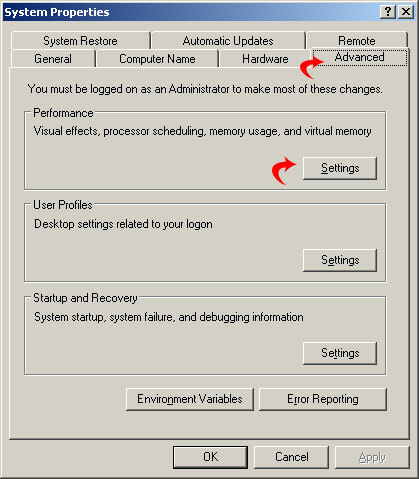 The System Properties Window will be displayed. Take note of the amount of RAM your computer has. We need this later. 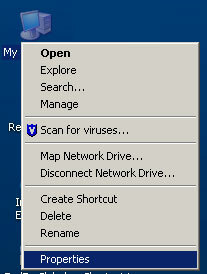 Now click on the advanced tab and then click the settings button. The Performance Options window will open. Click the advanced tab. Go down to the Virtual Memory Section. This will display the total page file size for your computer. Click the change button to modify this. As you can see below, my page file is set to be between 1524 and 3048 MB. To optimize this we will adjust the initial size to be twice the size of our physical RAM. 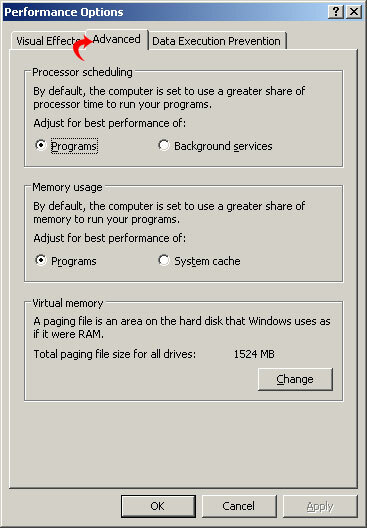 Since I have 1GB (or 1024MB) of RAM I will increase the initial page size to 2048MB. I will add another 1024 MB and set that as the Maximum size. Once you have made the changes click the set button and then click OK.
That is it. 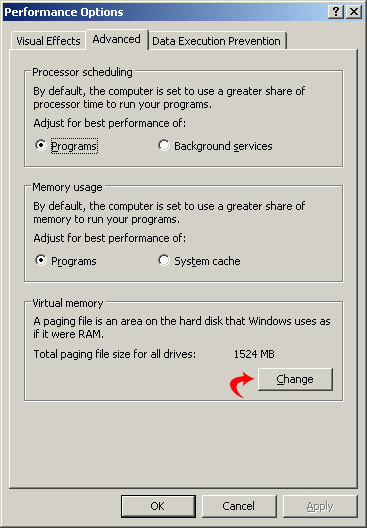 You have increase the page file size (or virtual memory) on your PC. This should help speed things up a little bit. I wouldn’t recommend increasing this to be more than double the size of your RAM.